Home » Setup and Install » Active Directory connection » Limit bandwidth by Active Directory group, the right way. 1) Create your bandwidth rule. 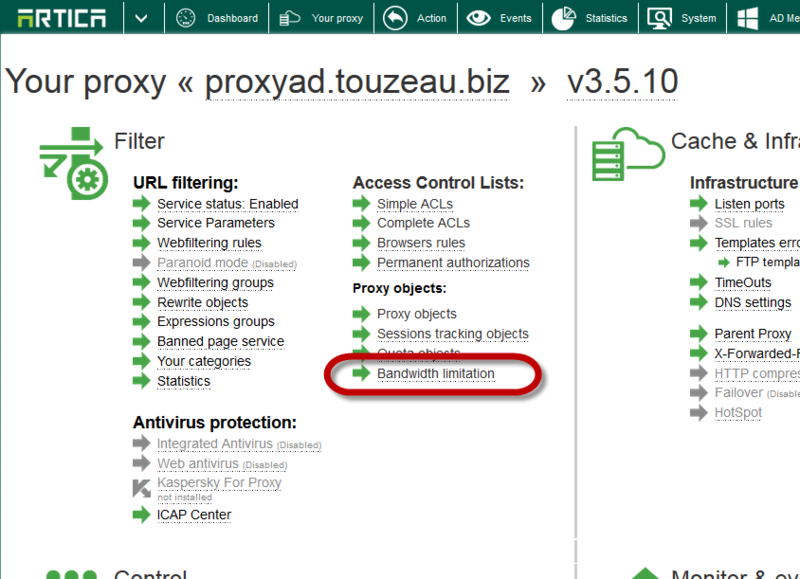 On your proxy section, choose “Bandwidth limitation” link. 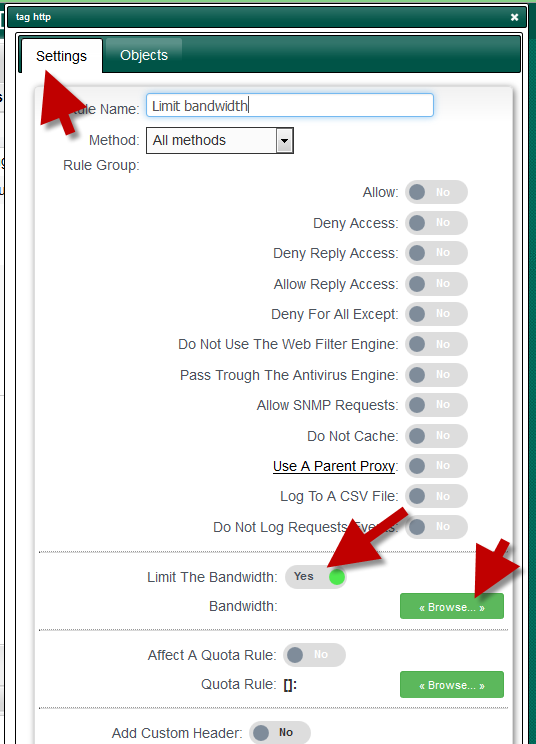 Click on Add a new bandwidth limitation rule. 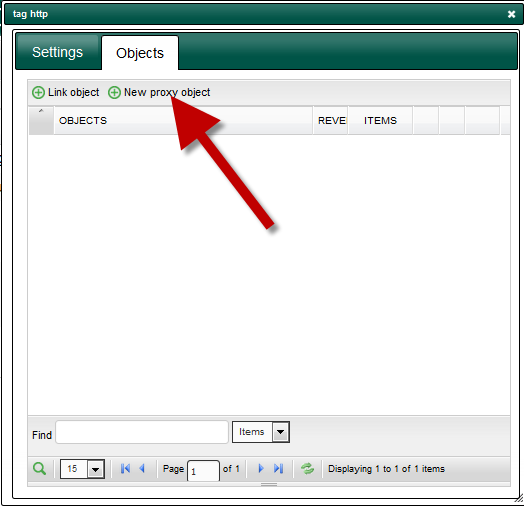 Turn on the “Limit by computer” option. 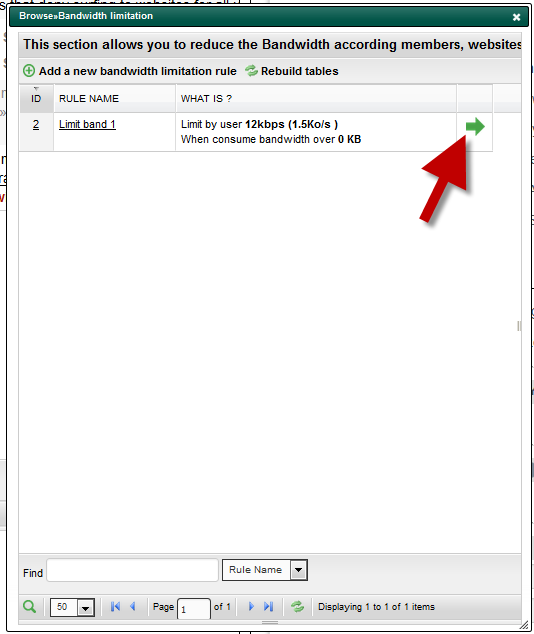 Your bandwidth rule is added on your main table. 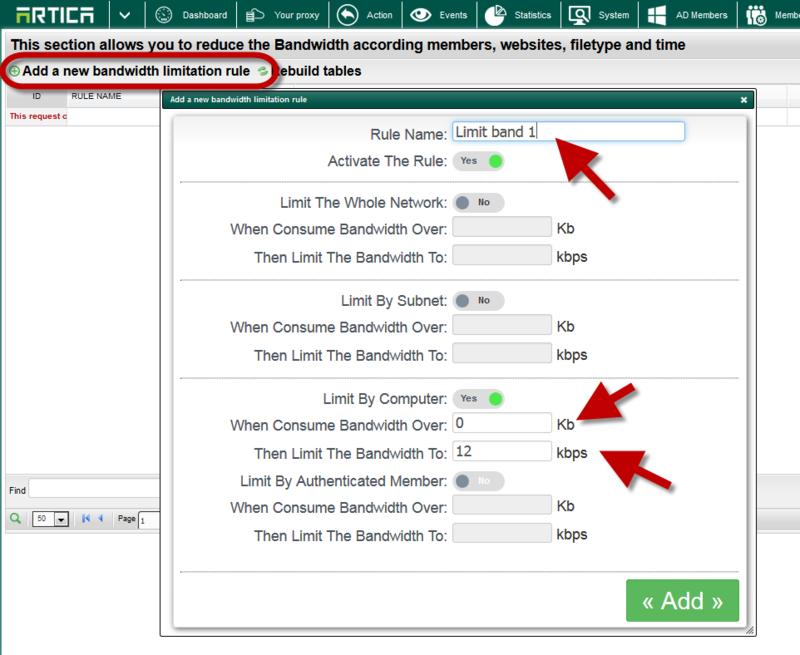 Choose the create bandwidth rule. 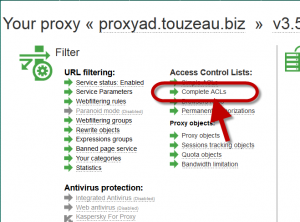 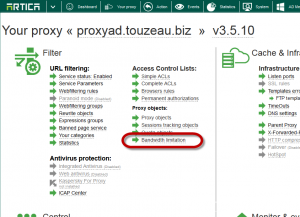 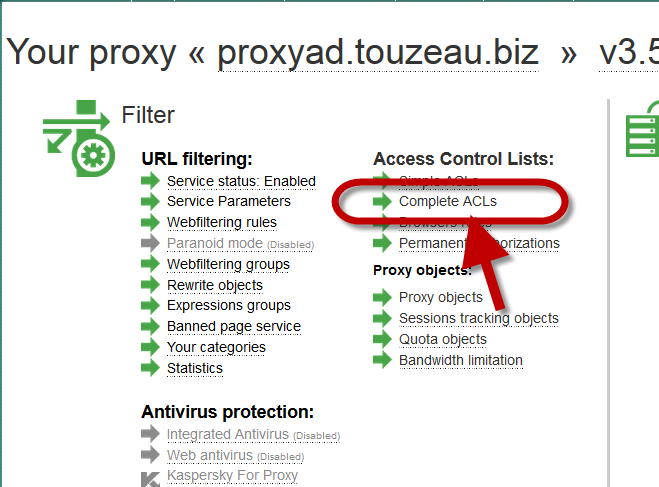 Click on new proxy object button. 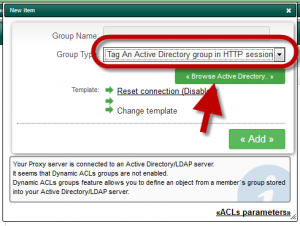 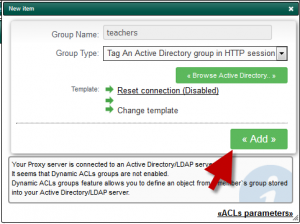 Click on “Browse Active Directory” button to choose the Active Directory group. 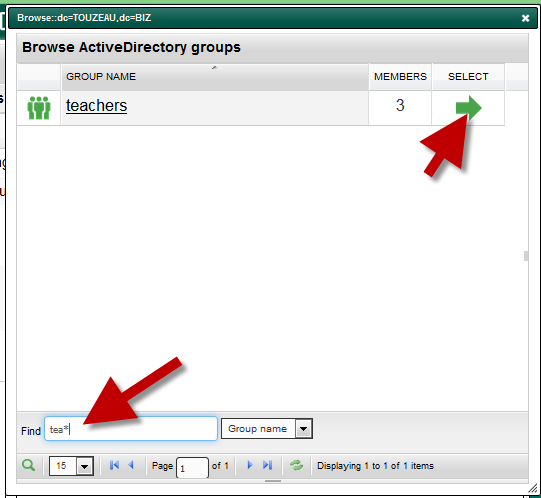 Find your group using the search field and click on green arrow to select it. Close the windows and click on Add to add this new group. 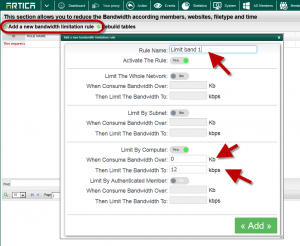 Now the rule will match the Active Directory and apply the bandwidth limitation.